Or, if you make the herbal extract yourself, you could spend just $6 and yield more than 16 ounces! For this comparison, I'm figuring $3 for the herbs and $3 for the vodka. Which is an actual real life example of when I make an extract with dried eleuthero herb. This value will vary depending on the herb, however as you'll see in a moment, the cost savings are so big that there's plenty of room to swing a bit and still come out wayyyyy ahead. Comparing ounce-by-ounce? Your purchased tincture is $7.50 per ounce, while your homemade is much, much less… at 37.5 cents per ounce. Not a typo — that's 37.5 cents per ounce. Whoa. That's significant savings! The homemade is 1/20th of the cost of the purchased! Seriously. Put herbs in jar, cover with vodka, let sit for 4 to 6 weeks, tip upside down every day, then strain out your homemade tincture. Herbal tinctures (aka herbal extracts) are the most potent way to deliver the benefits of herbs to your body. For this reason, you might consider using this form above infusions, teas, or capsules. For quality dried herbs at affordable prices, I recommend Mountain Rose Herbs. We especially love herbal tinctures for delivering the benefits of adaptogenic herbs. 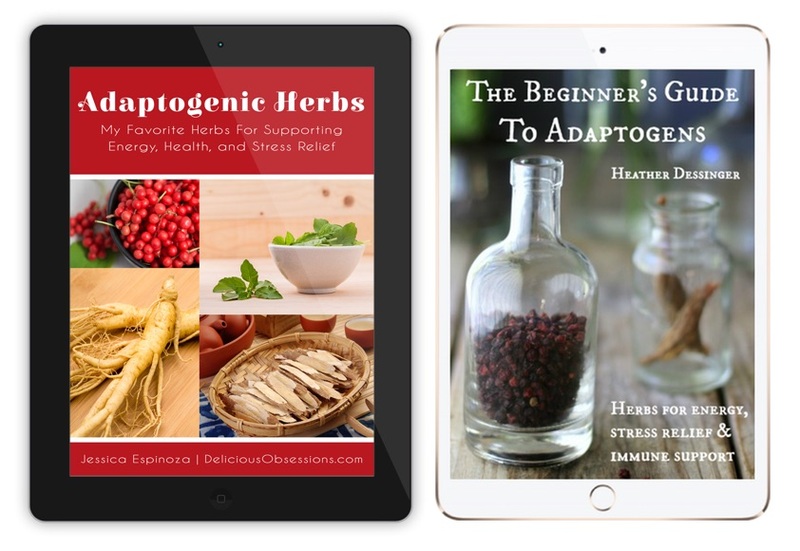 Adaptogens are a special class of herbs that help with stress, vitality and overall normalizing your body — helping you balance whatever needs it. They're fascinating and powerful! It's not very expensive and the information is presented simply and thoroughly. 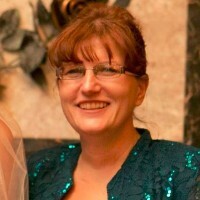 Heather (the author) is a good friend, and I trust her integrity and information. Put herbs in quart size Mason jar to about 1/2 full (not packed down). Pour a bit of boiling water over the herbs to help release nutrients (optional). Pour vodka over all to fill the jar to just below the bands. Cover the jar. Tip upside down a few times to wet all the herbs with the vodka. Put in a cool, dark location for 4 to 6 weeks. Each day during this time, tip the jar upside down a few times. After steeping for 4 to 6 weeks, strain. 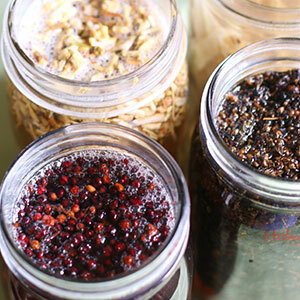 Discard herbs (compost) and put extract in jar(s) or 4-ounce dropper bottles. Store in a cool and dark location. Keeps a long time. Usage: Consult your naturopath or doctor or do your own research; most people take 1/2 teaspoon daily of extract(s) they feel are beneficial to their health goals. I cannot give medical advice, so please do your own research. This is just a general guideline. Disclaimer: I’m not a doctor. All information is intended for your general knowledge only and is not a substitute for medical advice or treatment for specific medical conditions. You are responsible for your own health and for the use of any remedies, treatments, or medications you use at home. 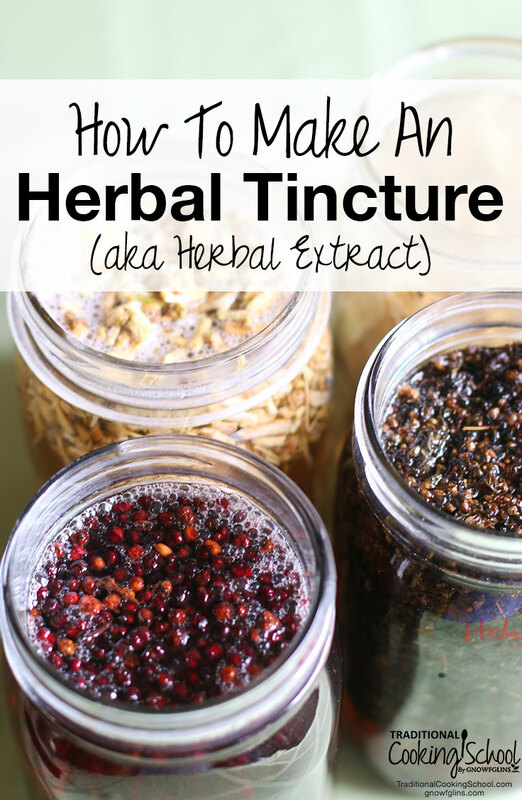 Have you ever made an herbal tincture? What is your favorite way to incorporate adaptogens into your lifestyle? I grow my own cayenne peppers and use them fresh and dried to make my own tincture. We made lemon balm tincture this last year but have made several others before. It’s much cheaper to make!!! I have lemon balm growing in my garden. May I have a recipe for lemon balm tincture? Is it possible to make tinctures without alcohol? I do elderberry tinctures every year! They’re great to mix with tea when you’re not feeling well (1oz or less). I’ll mix the elderberries with the vodka in the fall for next year, or I’ll make them in the spring for use that year (if I’m running low). They keep fine on the shelf and still taste good after steeping for a year! When making the red raspberry leaf tincture about how much would fill up the quart size mason jar to the 1/2 way point as your recipe says? I was looking at the suggested website to purchase and I’m not sure how much to buy. Thank you! So even in an instant pot, it still takes 4-6 weeks? Also – pouring boiling water over the herbs – is that like a hot bath the jar sits in? You don’t mean pour directly over herbs do you? And still add alcohol? We do not use the Instant Pot for making this tincture. Pouring a small amount of boiling water is optional, it is not necessary. If you do, yes you still need to add alcohol because you are only using a small amount of hot water. Love this! Thank you! One question: can these tinctures be made with fresh herbs (like the lemon balm mentioned above?) – or is it dried herbs that are being used in this formula?? Thanks!! You can use fresh herbs if you would like. This particular recipe calls for dried. I used fresh cayenne peppers I had allowed to dry, then followed a few other recipes to make my tincture. However, after sitting just for a few days, the peppers absorbed the alcohol and plumped up to the point they were no longer submerged. Now I have no idea of the efficacy or dosage of the tincture. Those two would be affected by the ratio of peppers to alcohol. You can press the peppers down to be submerged and then let them sit longer. Otherwise, add a bit more alcohol to cover them. How much water so I add to the mason jar, the optional choice? The recipe says just “a bit of boiling water,” so enough to get them a little wet. You’d want to avoid diluting the alcohol too much. At my age, we are experiencing trouble with our teeth as well our gums. I’m sure I missed it, but I make a mouth wash with White Oak bark, and it appeared to assist with a loose tooth. I’ve read your material but could not find any information regarding the quantities of Myrrh, and Peppermint. Could I add these to the White Oak bark, and how much do I add? The recipe above is a general recipe. You would follow the steps above using your dried herbs. I am sorry I am not familiar with the quantities for your mouth wash. You will have to do some research on this. Nettle tincture is very healthy for gums,kills bacteria and viruses.